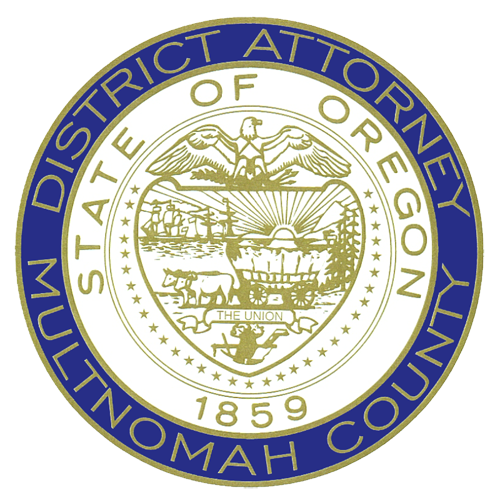 The Multnomah County District Attorney’s Office is a critical part of our community. Like all essential services, it must be properly funded to meet the needs and expectations of those we serve. As we prepare for fiscal year 2020, we are deeply concerned about the immediate repercussions that will result from an approximately $5 million budget implication that includes a reduction in funding and additional expenditures our office will face with possibly no additional funding to offset those costs. These reductions, coupled with additional financial obligations, will have a resounding consequential impact on the work we do each day to help crime victims, people working to overcome abuse and/or addiction to controlled substances and our ongoing efforts to improve policies that ensure individuals with a mental illness have access to healthcare and social supports. For decades, staffing levels at the District Attorney’s Office have fallen below national standards, yet we have been able to work with our partners to bring positive change by developing new and innovative programs that provide substantial benefit to our community at all levels. Those efforts must continue. Workforce cuts within the District Attorney’s Office would stop the momentum we have. This work matters. We are representatives of Multnomah County, and we are honored to have such an important role; but the District Attorney’s Office must be funded so our commitment and service to our community only gets stronger and better. Today, because of past budget cuts, we struggle to adequately uphold our duties and responsibilities to serve our community. Future cuts will make us even less prepared and will result in significant setbacks to the progressive mission of the District Attorney’s Office. The following packet will provide the reader with a deeper understanding of the work we do and will provide insight into the budget implications we face. Click here to download the MCDA Budget Packet for FY 2020.